This year is the first year I have planted zucchini; I really don’t have room in my garden but I found a spot and plopped in one plant. It grew quickly with all of the rain that we have had and sprouted many yellow flowers. 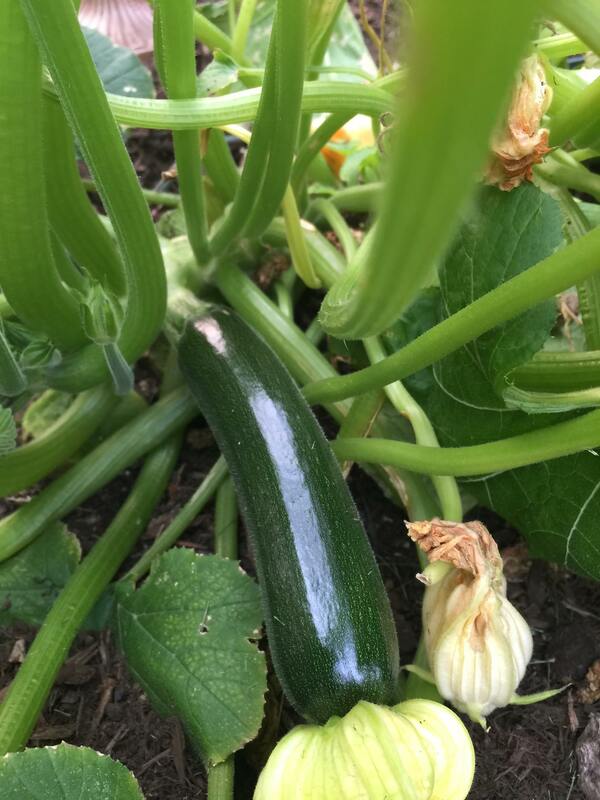 After watching and waiting I was pleasantly surprised to find a beautiful bright green squash had been born – and it grew so quickly! I decided it was time to pluck this beauty before it got too big. Now I pondered, just what to do with just one zucchini? Not enough for a casserole or a quiche. It must be meant to be a muffin. And so it was. These moist, tasty gems are great for snacking, for breakfast or as an accompaniment to dinner. Beat egg lightly in a large bowl. Stir in applesauce, sugar, zucchini and vanilla. In a separate bowl, sift flour, baking powder, baking soda, cinnamon and salt. 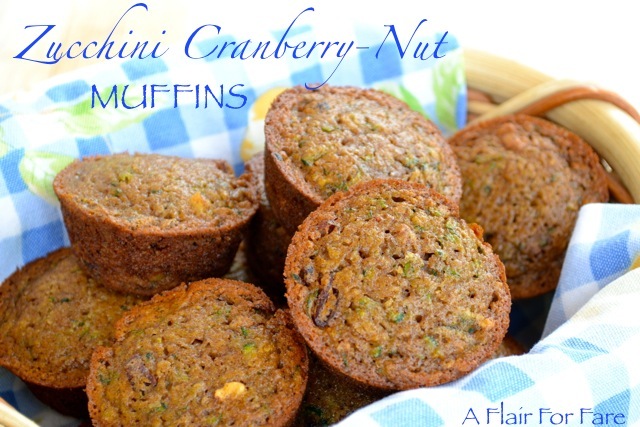 Stir into egg mixture until well blended; stir in cranberries and nuts. 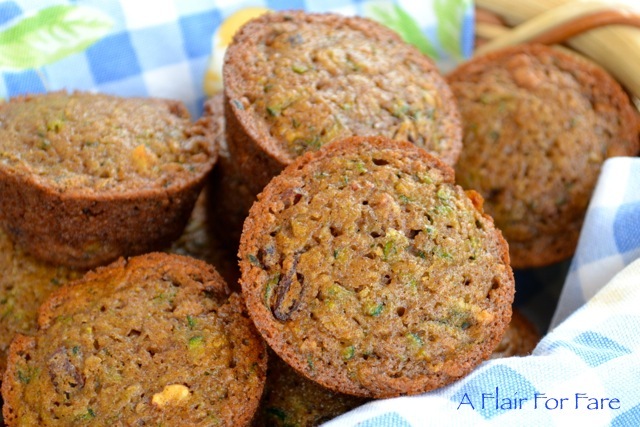 Spray each cup of a 12 cup muffin pan with Pam. Use a standard size ice cream scoop to fill each cup 3/4 full. Bake at 350 degrees for 15-20 minutes, using a toothpick to test for doneness. Cool in pan for 5 minutes, then turnout onto a wire rack to finish cooling.